PK. 3 Idiots. Lage Raho Munnabhai. Munnabhai MBBS. 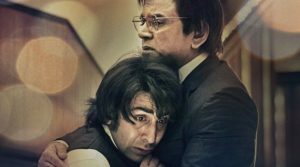 Sanju does not really fit in the league of the above movies and does not represent a right progression for the skilled director of Rajkumar Hirani’s calibre. But Rajkumar Hirani is Rajkumar Hirani thanks to Munnabhai series. Maybe this is a payback movie. Maybe Hirani was moved by the father-son relationship story or the general drama of Sanjay Dutt’s life. Sanjay Dutt needed an image makeover. Ranbir need a comeback. Definitely, Hirani did not need this movie. The movie needed Hirani. We will never understand why Hirani chose this movie but let’s move out of this question and think of the movie independently. The Ranbir Kapoor starrer is the story of selected episodes of Sanjay Dutt’s roller-coaster life. The movie focuses on his addiction to drugs, gun-possession and father-son relationship. The first half focusses purely on the drug addiction and friendship with Vicky Kaushal – who continues to shine and rise. The second half is an attempt to delve deeper into the gun episode and resurrect his image. The demonization of media and the fake news are highlighted smartly to cash in on current sentiments. The second half brings out the goodness of Senior Dutt and his unparalleled efforts to bring his son’s life back on track. The father-son element is the highlight of the movie and will bring tears to you. Indian father-sons have complex and difficult relationships! Thanks to legal machinery and defamation case industry, the many relationships with women, politicians and others are avoided. Bal Thackeray is absent. Richa Sharma is absent. Rhea Pillai is absent. And so are many ‘heroines’. So, less masala. There are fictional elements introduced like the biographer. The stars of the movie are Vicky Kaushal and Paresh Rawal. 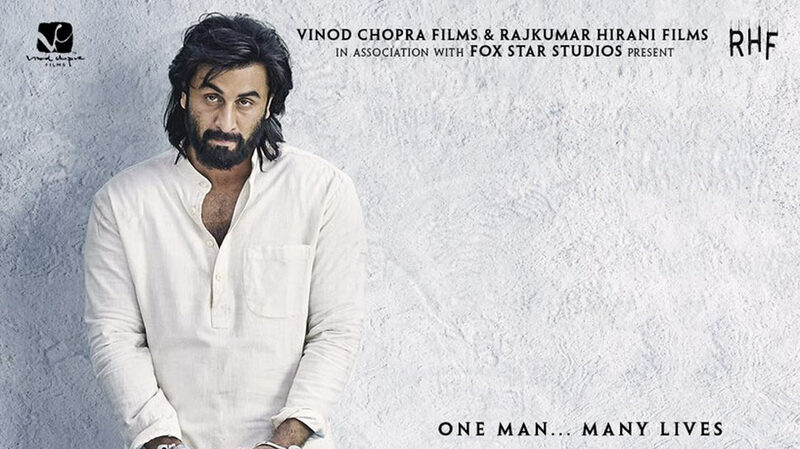 Both of them outshine Ranbir Kapoor – who himself has given one of the best performances of his life. His has completely mastered the character, behavior and physical appearance of Sanjay Dutt. The women actors have marginal presence and music is average. Rajkumar Hirani fails himself by showcasing only select elements of truth of Sanjay Dutt’s life. Rajkumar Hirani brand loses to Rajkumar Hirani the friend. The midas touch is missing in this wasted opportunity. A pity and a loss for all of us!